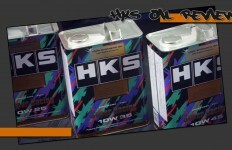 HKS Europe recently announced that they start to release informational videos featuring their diverse range of products. They kicked things off with the HKS R35 GT-R Product Line-Up. HKS Europe is happy to announce the release our very own product information videos. The first of a three part series looks at some of the most interesting products available for the current generation R35 GT-R. We are very excited to deliver an English language video which highlights the exciting product range from HKS. Besides here on JDMTimes.com, you can also find the videos on their YouTube Production Channel here, as well as on their official media page here.